Nestled in a brick building in the heart of Southampton Village, LaCarezza Salon Da Spa is a bustling spot for beauty lovers. A complete salon primps and beautifies while a quiet oasis just steps from the street, the spa, sits waiting for clients looking to indulge. LED therapy and Microdermabrasion combine with radiant results.Unlike many spas in the Hamptons, LaCarezza is known for its “day spa" approach - the idea that you can drop in for a quick lunch massage or after work scrub. Of course, a full-day “Day of Beauty" package is available including a facial, body scrub, massage, spa manicure, spa pedicure, hair finishing, make-up application, and lunch. The six-hour long day will leave you looking and feeling fabulous. Pampering the gents, LaCarezza offers a half-day of “Gentleman's Wellness" that includes a full-body massage, manicure, pedicure, haircut, and style. This powerful combination of dermabrasion and LED therapy removes dead skin cells, polishes, and gets under the skin to promote inner-radiance. 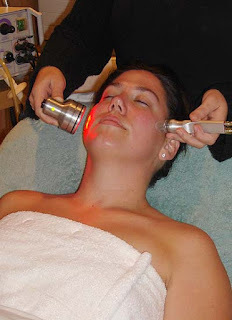 The treatments are non-invasive, completely painless, safe for all skin types, and best of all there is no down time. LaCarezza offers a host of services including aromatherapy facials, teen facials that promote deep pore cleansing, airbrush tanning, and a variety of massage packages.